Ph.D. in English Language (ELT)–College of Graduate Studies – University of Khartoum (March-2015). B.Sc. of Art & Education-Honours-2nd class-Division One. University of Khartoum, Faculty of Education. Subject of Study: (English Language). 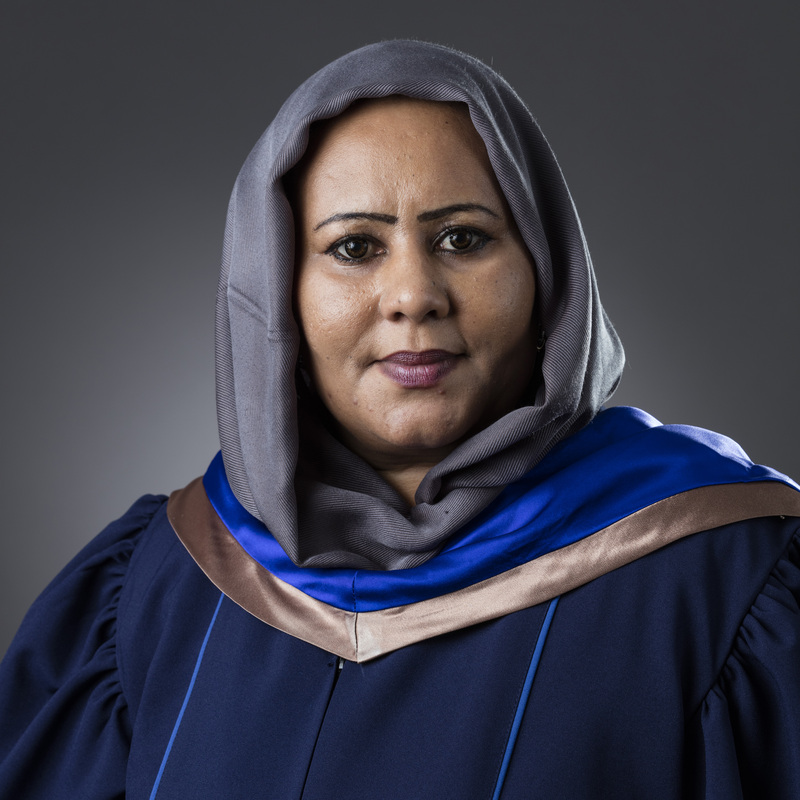 2016 – Present: Assistant Professor in English Language - Faculty of Law – Kingdom University –Kingdom of Bahrain. 2015 – Present: Assistant Professor in English Language - Faculty of Education –University of Khartoum -Sudan. March. 2008 – 2014: English language Lecturer–Faculty of Education –University of Khartoum -Sudan. 2014 – 2015: English Language part-time Lecturer– English Language Department- Faculty of Art –University of Bahrain. 2012 – 2013: English Language trainer – Computer Science program- Community College- Qatif, University of Dammam. 2011 – 2012: English Language part-time instructor – English Language Center – University of Bahrain. 2007 - 2010: Lecturer in ESP (English for Specific Purposes)-College for Technological Sciences (CTS) –Omdurman-Sudan. 2006 – 2006: Part-time Instructor in ESP (English for Specific purposes –medicine) English Language Unit, Faculty of Medicine, Arabian Gulf University. Self-Access Center Supervisor. 2001 - 2005: Lecturer in ESP (English for Specific Purposes)-College for Technological Sciences (CTS) –Omdurman-Sudan. 1999 - 2000: Part-time Instructor of English Language; Albaha Teachers, College for Girls, Kingdom of Saudi Arabia. 1998- 2000: Medical Interpreter, King Fahad Hospital at Albaha, Kingdom of Saudi Arabia. Alajab, Alajab Mohammed & Ali, Ameera Musa (2015). The impact of a blended Learning course on Khartoum University students achievement and motivation to learn Scientific English. American International Journal of Social Science (AIJSS). 4 No. 2. March 2015. Website: www.aijssnet.com. Ali, Ameera Musa (2008). For Men & Women: A Social TV Program. Blue Nile TV Company –Omdurman Sudan.